Headlines, hot news, and conversation starters on November 2, 2017! 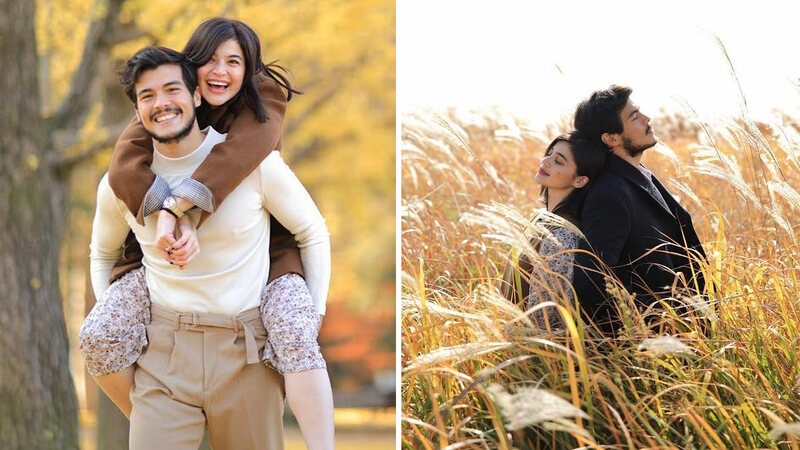 Anne Curtis and fiance Erwan Heussaff recently spent a few days in Anne's dream destination: Seoul, South Korea. Being the K-drama fan that she is, Anne just had to take some photos with her mon amour in the romantic Nami Island. And the pictures they came out with would definitely make any K-drama fan super kilig! James Reid and Nadine Lustre hit up Tokyo, Japan (one of their fave cities) to celebrate Halloween and Nadz's 24th birthday. Here's the duo looking oh-so-cool while hanging out in a convenience store in their X-Men costumes: James as Gambit and Nadz as Rogue. Another pair also won Halloween: Toni and Alex Gonzaga. The real-life sisters dressed up as fictional siblings, Elsa and Anna, from Disney's Frozen. Toni's one-year-old boy Seve completed their looks as Olaf the snowman. So cute!